Ein kleiner Publikationshinweis zwischendurch: In KulturPoetik: Zeitschrift für kulturgeschichtliche Literaturwissenschaft Band 12.2 (2012) ist der empfehlenswerte Essay "Männer mit Äxten: Heroismus in der Populärkultur, das Imaginäre und Hard Rock. Ein Versuch" von Jan Mohr (jan.mohr@germanistik.uni-muenchen.de) erschienen. Als kleiner Nachtrag zum vorangegangenen Post noch eben dieses: Auf der Suche nach dem Möder-AMP? Der BoomBox zu enden alle Full-Stack-Kühlschränke? Der Mutter aller "this goes up to eleven!?" Da hätten wir was für sie: HPV Technologies letzter Knaller in Sachen crowd control. Kontrastprogramm könnte übrigens dieser viel viel bessere ganz andere Film sein: Da erfährt ein Komponist, der seit Jahrzehnten Musik für die Sesamstraße komponiert, dass man seine Songs zum Foltern in Guantanamo und andernorts eingesetzt hat. 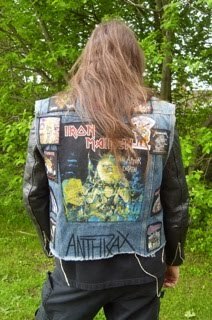 Jetzt will er der Sache gerne mal auf den Grund gehen, und trifft auch Metalbands (? ), die nicht gänzlich unzufrieden sind, dass sie auf der gleichen Tracklist wie er sind. Ist übrigens ein Dokumentarfilm. Von Al Jazeera. ...und das ist auch gut so, aber vielleicht kann man bei untenstehendem CfP doch noch ganz subversiv was einschmuggeln? Punk rock has had quite a decade. Exhibition catalogs, photographic retrospectives, CD box sets, and sold-out reunion tours attest to the central role punk continues to play in stories we tell about the ‘70s and ‘80s, about their politics, and about their culture. If punk comes from England, it has always been equally at home in Germany, where punk scenes, zine networks, and record labels appeared almost as quickly as they had in Britain and the United States. In Germany, as in Britain and the United States, new archives, museum exhibits, and discography projects have emerged which are devoted exclusively to punk—and to thinking about what punk meant for its own historical moment and might still mean for ours. At this moment of its intense commemoration, German punk therefore seems in need of an interdisciplinary, theoretically informed scholarship all its own. This would be a critical conversation about punk's aesthetic genealogies, transnational affiliations, institutional histories, and political affiliations. What was German punk? What things did it have to say? How did it say them, on whose behalf, and to whom? Can theoretical and methodological interventions developed to explain American or English phenomena be truly adequate to German punk? - after punk: post-punk; neo-punk; anti-punk; New Punk; dark wave, cold wave, and no wave. - punk in the archive: assembling discographies; building punk archives; the ethics of punk musealization. - punk politics: punk as protest culture; the political theory of punk; punk interventions; punk and a-politicality; punk, the Left, and the Right. - punk and the Cold War: punk and MAD eschatology; punk rocking around the Bloc; punk as portable global good; punk of German division; punk as Wendekultur. - punk and the body: punk and style; the genders and sexes of punk; punk performativity; punks, cyborgs, the man-machine. - punks in the city: punk architectures and punk spaces; punks, decay, and ruination; punk graffiti; punk and Occupation. Please send >500 word abstracts and brief biographical statements in English to all editors: Mirko M. Hall [mirko.hall[at[converse.edu], Seth Howes [howes[at]oakland.edu], and Cyrus Shahan [cshahan[at]colby.edu] by 01 February 2013. Notification of acceptance will be given shortly thereafter. Completed essays are tentatively due on 01 September 2013. Das war hier schon mal Thema: Shiraz ist das neue Felsenkrone im Mosh-Pit. Hat jetzt auch die taz-Wahrheitsseite mitbekommen. Dann also mal mit der taz 'santé' auf den Niedergang und das Ende abendländischer Gewissheiten. Denn dafür ist Metal ja trotzdem immer gut. This issue of Fashion, Style and Popular Culture will take an in depth look at the interface of popular music and style in the twentieth and twenty-first centuries. The sartorial element of music subcultures is basic to subcultural identity in that dress is a visual language that reflects the shared understandings of a culture. Since the 1950s music scenes have been capable vehicles for social change, and in the past have been involved in dramatically reshaping social norms in many parts of the world. Many subcultures represent loosely organized resistance to social institutions, values, and practices and reinforce alternative ideologies. For youth, music subcultures and scenes have allowed them to create novel identities outside the restraints of the roles and expectations imposed upon them by family, school, and work. Group membership is meaningful because it confers social identity and permits self-evaluation for the individual. Music subcultures are unique in that they not only have a specific sound, which captivates the emotions and essence of its core, but they also have a defined visual style. Clothing has long been used as a cognitive stimulus that leads to the formation of impressions, helping to simplify and make sense of social interactions within groups and within society as a whole, where dress serves as a visual separation from the mainstream and a devotion to the ideologies of the subculture. In an ocular centric society such as we see today, image is supreme. The notion of spectacle found amongst the most extreme countercultures is itself powerful; it is simultaneously disturbing and at the same time fascinating. • The fragmentation of music subcultures and subcultural style. Manuscripts should be approximately 5000 words and prepared using Intellect Journal House Style which may be accessed at:http://www.intellectbooks.co.uk/MediaManager/File/Intellect%20style%20guide.pdf. inversion in ways that stretch and distort the boundaries of its apparent simplicity.” The curators encourage contributors to consider the topic of inversion, but also the topics of reversal, rejection, descension, and negation. Special consideration will be given to those artworks which inquire if the notion of inverting presumes a relationship to gravity, and a sense of (opposing) direction(s), and how the experience of turning and over turning may be described: Which is up-side-down and which down-side-up? 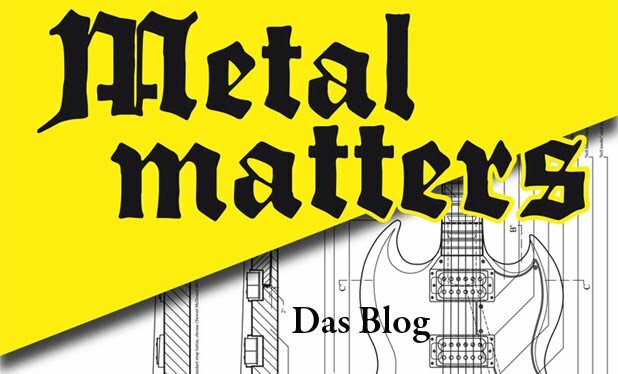 Helvete is an open access electronic and print journal dedicated to continuing the mutual blackening of metal and theory inaugurated by the Black Metal Theory Symposia. Not to be confused with a metal studies, music criticism, ethnography, or sociology, black metal theory is a speculative and creative endeavor, one which seeks ways of thinking that “count” as black metal events—and, indeed, to see how black metal might count as thinking. Theory of black metal, and black metal of theory. Mutual blackening. Black metal as a language of contemporary art practices a transmodality between sound and vision, mutually blackening both art and metal, and thus pushing the limits of contemporary academic genres by definition. Entries will be accepted through February 28, 2013. Artists will be notified of decisions in April 2013. The project is scheduled for publication in Winter 2013.